We diagnose & test repairs in the same OEM systems you run them in to get the best quality electronic or servo repair possible. Northline strives to provide repair and replacement options to suit your specific needs. Hard-to-find parts? Give us a call! Our quotes are based on technical evaluations…not a price-book…so you get the most accurate and competitive repair estimate. Free evaluation and 1-year warranty on most repairs. Unit-specific preventative maintenance also available. 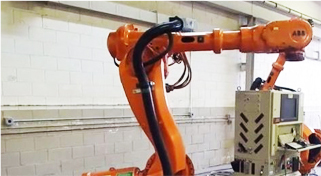 Features a Fanuc R-2000iA robot manipulator and is software-ready for testing the new Fanuc “i-Pendants”. Fanuc controllers utilize “Six Pack” servo-drive modules. Capability for full dynamic load-testing of the servo drive modules. Northline Industrial has developed a new Client Portal to better serve our customers. The portal allows our customers to view Work Order and Sales Order status 24/7. Search by: PO Number, part number, customer reference numbers, etc. Please inquire to your Northline representative to receive login credentials and more information. 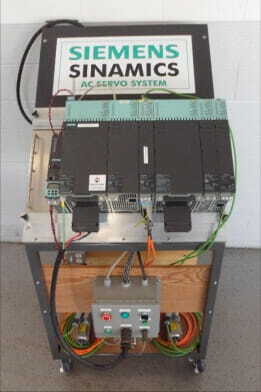 This is Northline Industrial’s Siemens Sinamics S120 AC Servo System. This system was designed to provide all the necessary life support for the Siemens Sinamics S120 high-performance booksize power supplies and motor modules. All facets of the S120 can be properly system tested after repair.